Like most of the other smartphone makers, Nokia is all set to join the club of phones with a notch on top with it’s all new Nokia 6.1 Plus. 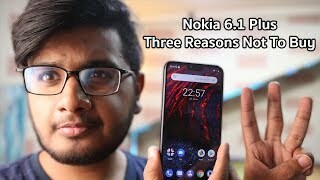 It was released as Nokia X6 at first and then got re-branded as the Nokia 6.1 Plus for global release. This phone falls in the mid-range category and is already available in some places. 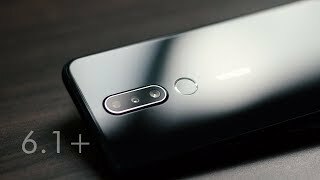 To find out more about this phone and the Nokia 6.1 Plus Cairo price, continue reading. It is easy to believe that the phone will be rocking a 6.1-inch display because of its name. However, it actually comes with a 5.8-inch screen showing 2280 x 1080 pixels, 19:9 aspect ratio and 432ppi of pixel density. Although it’s an upgraded version of the Nokia X5, it’s the first phone to include a notch on top like the recently released iPhone X and Huawei P20. This big display is protected by Corning Gorilla Glass 3. The glass front and back along with aluminum frame gives the phone a premium look even if it’s a mid-range phone. Unfortunately, it’s not water resistant like some of it’s competitors. After the Nokia 6.1 Plus release date Egypt, it can be found in three different colors: black, white and blue. Nowadays, phones with a single rear camera are getting more unique. The Nokia 6.1 Plus comes with one 16-megapixel camera and one 5-megapixel camera. The primary 16-megapixel camera comes with f/2.0 aperture, PDAF and EIS while the secondary one gets f/2.2 aperture and depth sensor. It will be capable of capturing 1080p videos at 30fps and users can expect some sort of stability thanks to giro-EIS. People who are looking for a phone with good selfie camera will find this phone useful as well as it comes with a 16-megapixel camera on the front with f/2.0 aperture. There is also the Samsung Galaxy S9/S9 Plus and Google Pixel 2 if you are willing to spend some more money for a good selfie camera phone. Just keep in mind that these phones are more expensive compared to the Nokia 6.1 Plus Cairo price. For a mid-range phone, the specs are looking quite good under the hood. Right out of the box, users will get Android 8.1 Oreo out of the box. To make sure users get a smooth Android 8.1 Oreo experience, it’s powered by Qualcomm SDM636 Snapdragon 636 octa-core processor paired with optional 4 or 6GB of RAM depending on the storage option you choose: 32GB or 64GB. As these specs will get a 3060mAh Li-Ion battery to power up, battery life is not expected to be a major problem for this phone. Users will be able to quickly recharge this phone as well as it comes with Quick Charge 3.0 for fast charging. Other notable features include: Bluetooth 5.0, USB 2.0 port, USB Type-C 1.0 reversible connector, 3.5mm headphone jack, fingerprint sensor and GPS. There is no NFC in this phone which is something to keep in mind. The Nokia 6.1 Plus will be available for about EGP 5400 when it’s here. It’s already available in China for a while now as the Nokia X6 but the Nokia 6.1 Plus release date Egypt is still a mystery at this point. The active stainless steel dress watch for men as9e47x - silver Men Watche is manufactured by Alba and was added around October 2018. This version of the Men Watche comes in Color : Silver , Watch Shape : Round , Strap Material : Stainless Steel , Watch Type : Analog , Watch Movement : Quartz , Watch Size : 48 MM , Watch Size : 45mm to 49mm. The best price for the Alba Active stainless Steel Dress in Egypt is EGP 999 sold at Souq and available with free shipping and delivery within Delivery in 3-7 days. 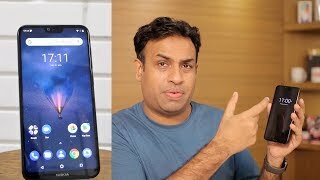 Nokia 6.1 Plus Review: Is it worth buying? 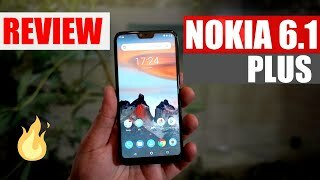 Nokia 6.1 Plus Review | 3 Maslay Hain Is Main! Price has decreased 38% from EGP 5350 on 2018-10-16 to EGP 3323 today.